As a parent, almost nothing may scare you more than when you become separated from your child in a crowded area or public place. Or, what would you do when your child leaves your home in the middle of the night while everyone else is sleeping? 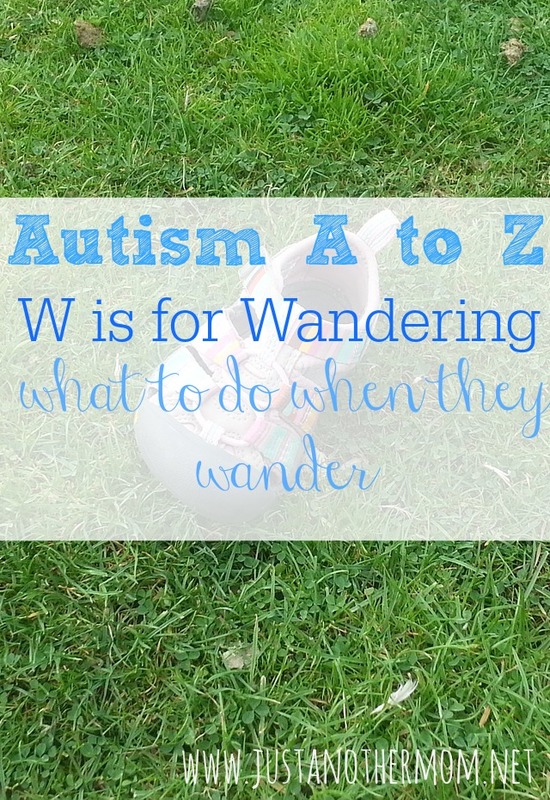 Today’s post in Autism A to Z is going to cover just that: What to do when they wander. Having a child who wanders (or elopes, or bolts, or runs) can be incredibly stressful for not only the parents but for everyone in the family. I have a child who has wandered in the past and it is absolutely terrifying. Before we get into advice and tips, let’s first cover what wandering means as it relates to autism. According to the National Autism Association, wandering is defined as: when a person, who requires some level of supervision to be safe, leaves a supervised, safe space and/or the care of a responsible person and is exposed to potential dangers. Wandering may also be referred to as elopement, bolting, or running. * Label everything. Give your child a way to communicate the necessary information. * Keep a plan of action. Make sure that everyone in your family knows what to do in case your child with autism wanders. * Keep an identifying sheet of information handy. Sometimes, in a crisis situation, you may just forget the important information that the police will need to help locate your child. Having this written down may help you keep your calm. Visit the National Autism Association for more information and especially about the AWAARE program. « Do Vaccines Cause Autism?